Fill an 8 quart stockpot 3/4 of the way with water and place on stove burner set to High. Add the chicken thighs, carrots, celery, potato, bouillon, poultry seasoning, oregano, parsley, salt & pepper. Bring to a boil, reduce heat and simmer one hour. Remove the chicken thighs and shred them then add them back into the soup. Add the rice and simmer for 30 minutes. 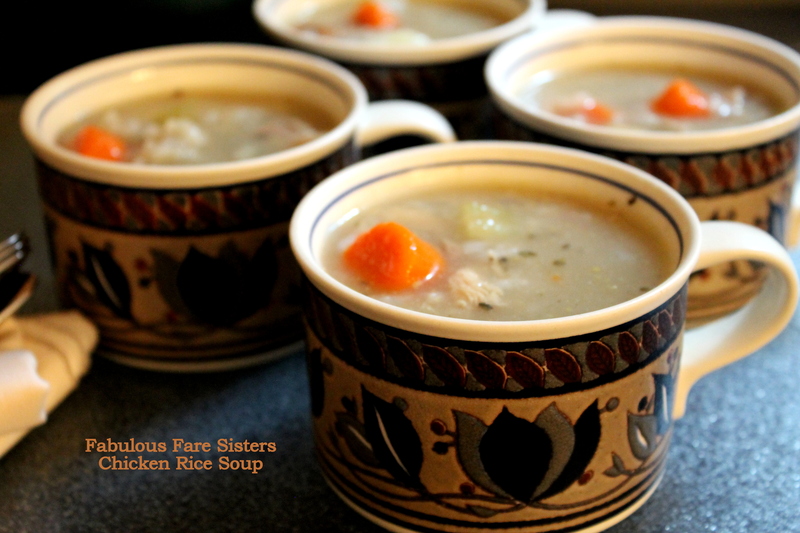 Serve in soup bowls and enjoy…It’s delicious, hearty, warm and healthy! Cheers to a good one. Thanks Mojisola! Happy New Year! Sounds delicious, as usual. Love the mugs too! Happy New Year Linda & Heidi! Linda this looks delicious! I’m thinking I’ll try this recipe with a rotisserie chicken! Yummy! 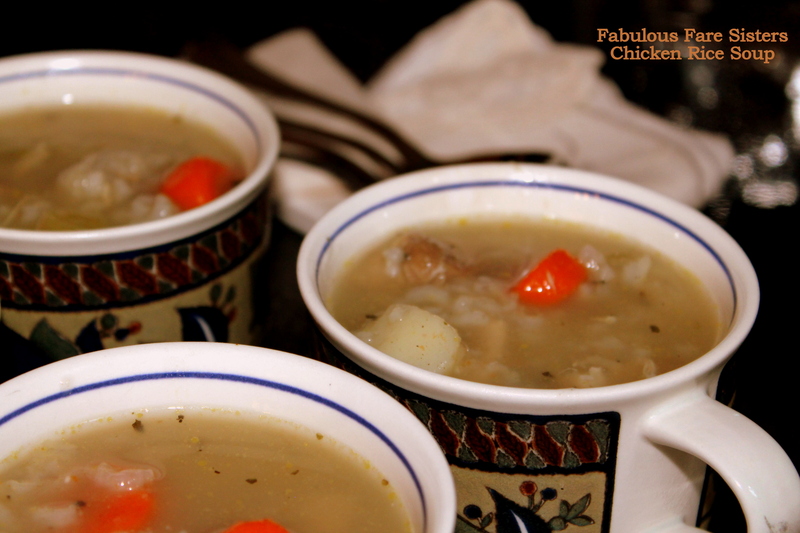 I just love all kinds of chicken soup! It’s would be perfect for the snowy/freezing fog day we are having. I’m a soup girl and could eat it every day of the year! Chicken and rice is a favorite too. This soup looks delicious! Oh yum, Linda! Pinning this now! I can feel a mug in my hand right this moment! Lovely as always! Happy New Year! Thank you, Linda! Here’s to 2016!